Have you ever attended a presentation that seemed to go on forever? The presenter was insecure, the slides were packed with information, and the speaker’s voice was to low and monotone. Mistakes and flaws are made so often in business presentations. In this article we would like to address some issues and the way how you will be able to perform and give a lecture in no time. Situations occur when a presentation has to be ready within a couple of minutes. That may be at an assessment center when you are asked to present yourself or at a meeting with future business partners or investors where you want to introduce a new business concept. The limited time frame does not have to be a disadvantage – a brief, interesting delivery, which addresses the main issue directly, can be more compelling than a long drawn-out 60-minute presentation. You may be able to be more detailed in a long presentation but it is more than challenging to keep the audience attentive for such a long time. It is assumed that most people are not able to focus longer than 20 minutes. You may have observed this in yourself. So why would you expect something different from your audience? To have the audience be focused on you or your product shall be a short presentation’s purpose. But time is limited in a brief presentation. To make this to your advantage – and not disadvantage – you may want to consider the following suggestions. 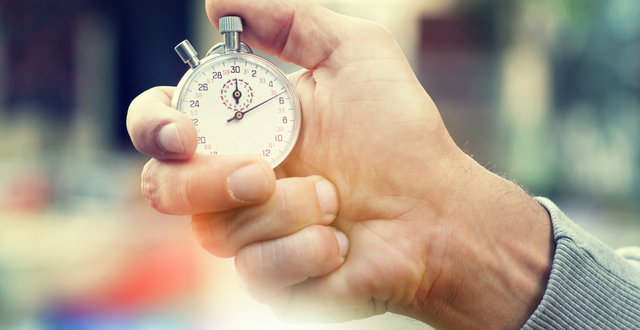 When holding a 5-minute presentation, address the actual subject as fast as possible. Leave out lengthy introductions and attract your audience’s attention from the very start. Present your ideas in a brief and concise way to make one interested. Keep in mind to have eye contact with your auditorium. Avoid reading only the text from the slides that you have provided – a mistake too often made. By doing so you lose contact with your audience and, consequently, its attention. Try to speak as freely as possible and do not appear to be reading from your slides. That may be interpreted as a lack of competence or preparation. Invest as much time as possible into the preparation of your presentation and practice your performance in front of acquaintances or in front of a mirror until you have internalized the content of your presentation. To deliver a successful performance, a confident appearance is as essential as the content of a presentation. Do not underestimate the effect that body language, your velocity of speech, gestures and facial expressions have during your presentation. Make your performance vivid and inspiring by using symbolic language and engaging metaphors. Consider our suggestions to make a permanent impression at your next presentation. Take the limited time frame as an opportunity to convince within a couple of minutes and with a strong and powerful argumentation. The actual goal of a short presentation is to raise interest for you or your product. Some practice and a thorough preparation and you are ready to go. This was very helpful!! I have a five minute voiceover brief tomorrow and this helped me get myself better organized. thank you!